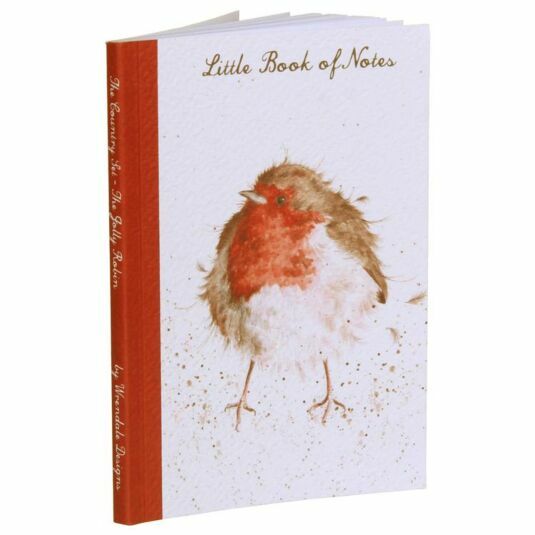 A cheerful, chubby robin features on the front of this notebook, puffing out his red chest and fluffing himself up in preparation for the winter cold. On the back of the pad the robin has found himself a juicy worm, which he is devouring with relish. The image is painted in the expressive style that is associated with Hannah Dale. 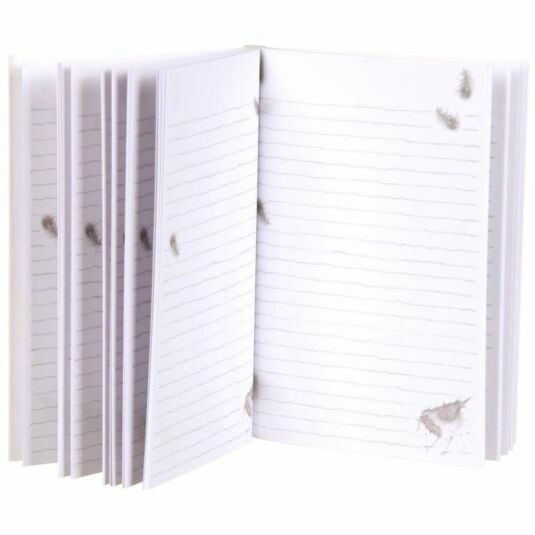 Perfect for shopping lists, reminders and notes of all kinds, these Wrendale notebooks are designed and printed in England using specially selected board of superb quality and low environmental impact sourced from the Lake District. This delightful range is inspired by the unique animal characters seen in the British countryside, farmyard and home. 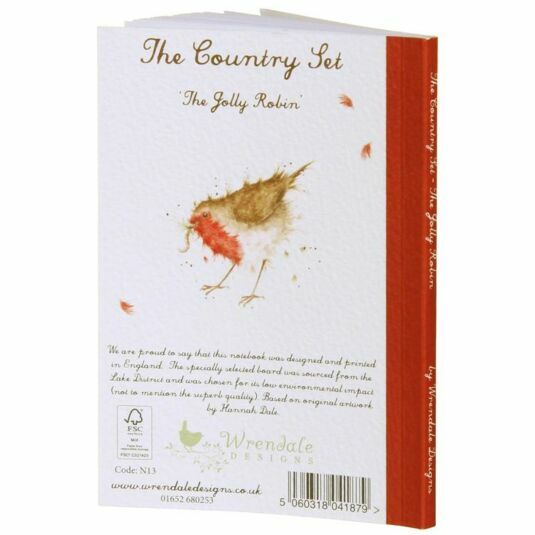 The design is taken from an original artwork by Hannah Dale of Wrendale Designs. Each image is delicately painted with soft brushwork, subtle colours and paint spatters which are the trademarks of her style. Hannah is an ex-stockbroker turned farmer’s wife who, inspired by her rural married life, embraced her artistic roots and began painting the animals in the landscape around her.